Davie, Florida is a city where horses take precedence over cars and cattle ranches are preferred more then condos. Within the city limits are the large farmlands and ranches known as Sunshine and Southwest Ranches, bordering the Everglades to the West. Centrally located in Broward County, the Town of Davie shares borders with the neighboring cities of Plantation, Hollywood, Dania, Cooper City, Pembroke Pines and Weston, and is conveniently located along the I595 and I75 expressways for easy access to anywhere in the Tri-County area. Davie was founded by a group of workers from the Panama Canal Zone and was originally named Zona as a result. That is, until Randolph P. Davie, a developer, bought about 27,000 acres in the area and renamed the town "Davie." Davie was literally carved out of Everglades land that was mostly under water. The town's early history was plagued by drainage issues caused by hurricanes and heavy rains, some of which persist even today. Davie is and will always be a "Western" town, despite significant commercial and residential development in recent years, although the cattle ranches have since moved farther west towards Weston. Did you know that Davie used to have its own western theme park? Yes, Pioneer City was built in the 1960s across the street from Flamingo Gardens, but has since closed. But on the plus side, horses lovers can take comfort in the significant horse-owning population still in Davie today. Davie boasts a population just shy of 100,000 residents and is an educational hub (Davie is host of the South Florida Educational Center). Davie has the only A rated middle and high schools in all of Broward County, and is home to various reputable universities, including Nova Southeastern University, Florida Atlantic University, Broward College, and ITT Tech. Moving On Up™ opened in Hollywood, Florida in 1996. and regularly performs local and interstate moves for Davie residents (as well as soon-to-be residents). Our Hollywood location moves local inner city moves from Fort Myers to Ft .Lauderdale, up the coast to Fort Pierce, and everywhere in between. If you're moving locally in the Tri-County area, give us a ring at (954) 924-1522 for mover rates and to learn more about our monthly moving offers. Are you a cowboy at heart? Then Davie is the place for you. The local McDonalds still has a corral to tie up your horse when you order! Check out the Unofficial Guide to the City of Davie to learn more about this unique and beautiful Western-styled city in the heart of Broward. 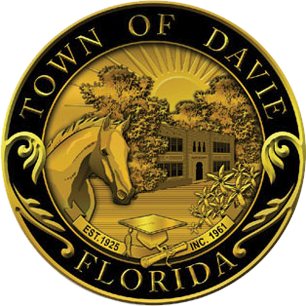 We also suggest you visit the Town of Davie official site to learn more about the community, as well as business and employment opportunities. Moving On Up™ is conveniently located in Hollywood, just west of Federal Highway and the beaches. Contact your local moving company now at (954) 924-1522 to schedule an in-home estimate and up-to-date home inventory. Request your moving quote online to book your move now and lock in your binding price.